My favorite books when I was in the fifth and sixth grades were the Mushroom Planet books by Eleanor Cameron. These books were published back in the 1950’s and so were a little before my time, but fortunately the school library didn’t have a lot of new books. I must have checked out each of the books hundreds of times. The Mushroom Planet, Basidium, was Earth’s second moon, a small asteroid orbiting just 50,000 miles away. Although only an asteroid, Basidium is made of a dense substance called Brumblium so it is able to retain an atmosphere and support life. The predominant form of life on Basidium is various forms of mosses and fungi, particularly tree sized mushrooms, hence the name Mushroom Planet. Even the inhabitants of Basidium are mushroom people, though they are humanoid in appearance. 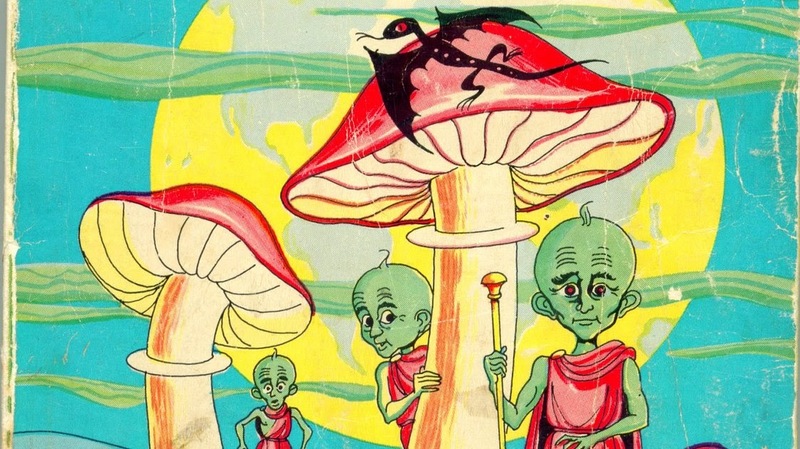 Because Basidium is made of Brumblium, it cannot be detected by telescope without a special filter invented by Tyco M. Bass, himself a member of a race of terrestrial Mushroom people called the Mycetians, descendants of Basidiumites who perhaps travelled to Earth in the form of spores. 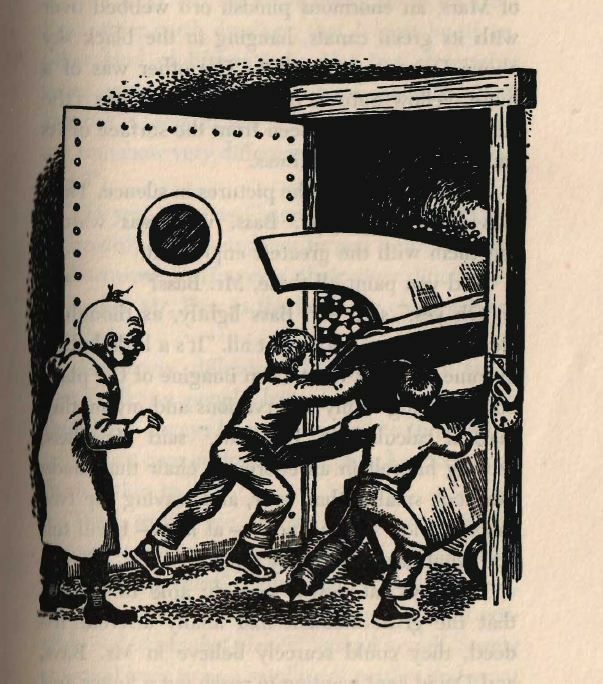 In “the first book, “The Wonderful Flight to the Mushroom Planet“, Mr. Bass, with the help of his two young friends David Topman and Chuck Masterson builds a spaceship for the two boys to travel to Basidium and save the natives from a threat to their existence. In later books in the series, Chuck and Dave return to Basidium with a stowaway, meet Tyco Bass’s cousin Theo, and have other adventures. It was a bit silly, I suppose, and the science is woefully out of date, but I really enjoyed reading them and always wished that I could meet Mr. Bass and travel to the Mushroom Planet. For that matter, I still like the books today, though I haven’t actually read them for many years. Too bad there isn’t really a second moon orbiting the Earth, or is there? According to this article in phys.org, maybe there is at least a “quasi-moon”. A small asteroid has been discovered in an orbit around the sun that keeps it as a constant companion of Earth, and it will remain so for centuries to come. In its yearly trek around the sun, asteroid 2016 HO3 spends about half of the time closer to the sun than Earth and passes ahead of our planet, and about half of the time farther away, causing it to fall behind. Its orbit is also tilted a little, causing it to bob up and then down once each year through Earth’s orbital plane. In effect, this small asteroid is caught in a game of leap frog with Earth that will last for hundreds of years. Asteroid 2016 HO3 was first spotted on April 27, 2016, by the Pan-STARRS 1 asteroid survey telescope on Haleakala, Hawaii, operated by the University of Hawaii’s Institute for Astronomy and funded by NASA’s Planetary Defense Coordination Office. The size of this object has not yet been firmly established, but it is likely larger than 120 feet (40 meters) and smaller than 300 feet (100 meters). There is no indications that there are any mushroom people in HO3. Too bad. I guess I won’t be meeting the Great Ta, the king of Basidium and his foolish wise men, Mebe and Oru.